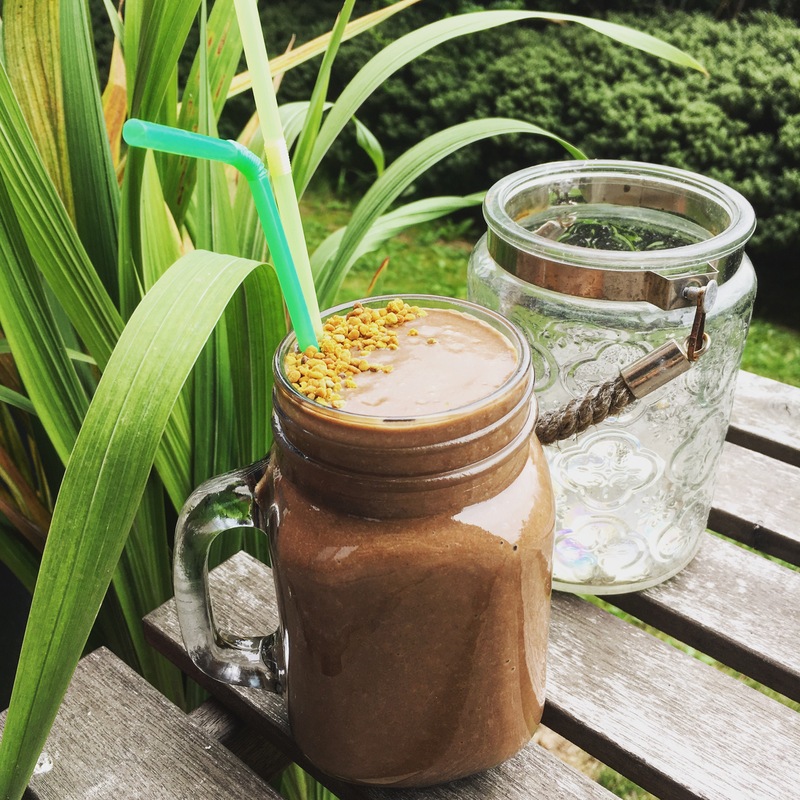 I’ve been dying to make this recipe for ages as we’ve been out of cacao powder for some time but after a trip to Sainsburys I am now stocked up and ready to make this dreamy smoothie! Think iced coffee meets frappaccino but waaaaayyy healthier and only 6 ingredients so it’s an easy one to do. 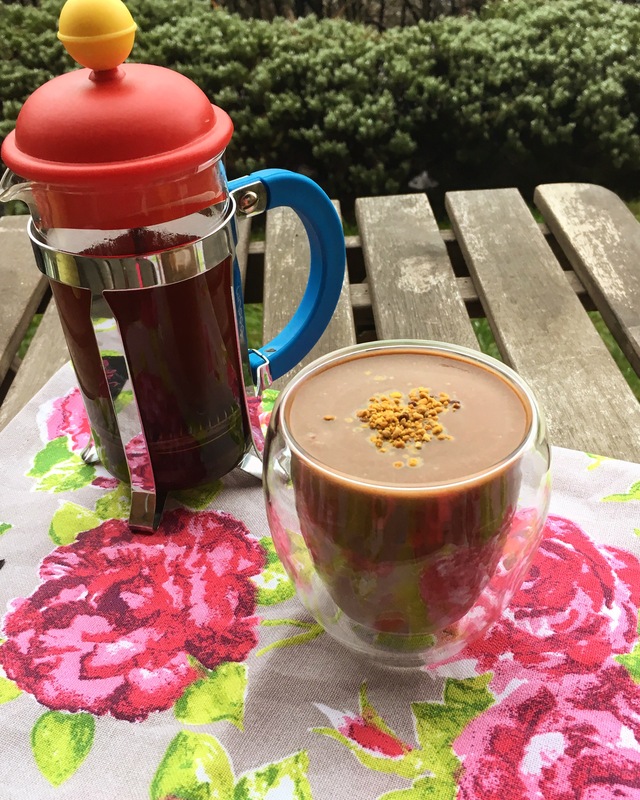 Avocado gives a wonderfully creamy texture and the cacao and coffee are just an amazing combination! The sweetness comes from a little honey and some dates for some extra fibre too. Avocado’s are a fantastic source of vitamin E which is beneficial to your immune system for fighting off infection and helps to keep your eyes and skin healthy. They are famously known for their monounsaturated good fats which contribute towards a healthy heart. One of the fatty acids found in Avocado’s is Linoelic acid which cannot be produced by the body so must be consumed in your everyday diet, so that’s good news for avo lovers! It’s a really nice smoothie to make before work, especially when it’s a warm day as the caffeine wakes you up but it’s cold, icy and refreshing! Put the dates and the milk into a blender and blend until smooth. Add in 3 large teaspoons of good quality instant coffee, I like to use Nescafe espresso instant which is a powder so it doesn’t need to be blended for long. If you are using granules you may have to leave it blending for slightly longer. However if you have the time and you own a cafetiere then it’s definitely worth making some fresh coffee (enough for 2 people) and pour the whole lot in. You can always add in more ice/milk/water if you want to make more too.